Partner with the leading independent source of real estate news. Inman is the top rated real estate news site on the Internet. Inman has a reputation for award winning content and writers. Over the past 20+ years, we've refined our coverage to allow us to lead the industry. 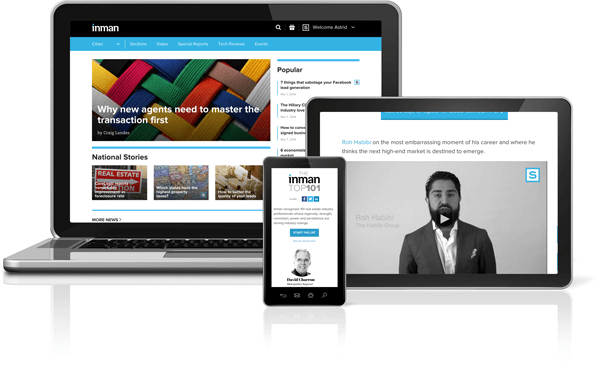 Our readers come to Inman.com for all of technology news happening in the industry. With the most in-depth and broad stroke of real estate topics, our readers leverage inman to stay on top. With more than 7 events per year, thousands or industry professionals attend Inman Events to network, discuss the changing real estate landscape and explore new technology. Ready to take the next step? Download our Media Kit now. Call 800.775.4662, email sales@inman.com, or complete this form to receive more information.